Matt is a junior at MIT. He’s geeky, he’s witty, he’s brilliant. For those of you who have yet to read Flat-Out Love, then I’d advise you go and download that right now, read it then download Flat-Out Matt and read that straight after. 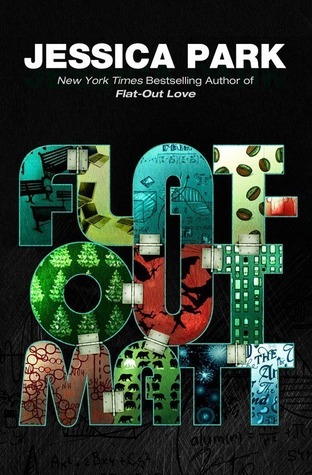 Flat-Out Matt is a companion novella to Flat-Out Love. It contains the ‘best’ scenes where us readers and lovers of FOL wanted to see Matt’s thoughts and feelings throughout that particular scene. All the scenes that were included in this novella were all the scenes that I absolutely adored and wanted to read in Matt’s POV. Every chapter I was wondering which scene would be next and I was not disappointed in the ones that Ms. Park used and wrote. As mentioned in the synopsis, there is a prequel at the start which starts with Finn and Matt hiking and talking about life and their family. I loved reading this side of both of them, especially Matt, who, in Flat-Out Love really had to grew up fast and look after Celeste and do everything around the house as well as attend classes. It seemed that hiking made him free, if only for a moment. Even though you know what happens in FOL and the story that both these books take, it’s still great to see Matt’s point of view throughout everything that happened. From him starting what he did and why he justified it, to watching him panic over how out of hand its gotten and to how he was feeling along the way – his emotions changing with every scene. You knew what was going to happen, but when you read it in Matt’s POV, it was still heartbreaking to read because everything he did, he did it for Julie and his family, even though he was the one who didn’t want to keep her in the dark with the secret yet that is exactly what he was doing. But we all fell in love with Matt in FOL and you will definitely love him even more now in FOM because we get it all from his point of view, apart from the last one which is Julie’s. You can still feel how broken the family are, and Julie, but with her presence, the characters are breaking out from their old shells, into new ones. They are still as loveable and hilarious and even though there are scenes that are not next to each other when reading FOL, in FOM they all blend together brilliantly and the timeline isn’t off at all! The last scene is steamy. Jessica Park was not lying when she said that, and it was just great to read beyond the last page of FOL and into the added scenes in FOM with Matt and Julie being together and being in love. It was the perfect ending to a fantastic book and I loved knowing that Matt and Julie are totally happy and in love with one another after everything that has happened in their lives.